I was reading over the thesis of a friend of mine, and something in her thesis really stuck out to me. She talked about institutional racism within higher education, and students’ perceptions of it. What really got to me was the part about “cosmetic diversity” or “faux diversity”. Cosmetic Diversity is the idea that colleges and universities say they’re diverse but don’t really show it. Cosmetic diversity is something akin to tokenism. Tokenism is when there is one person of color in a group of white people. This one person is thought of as the spokesperson for their whole race. 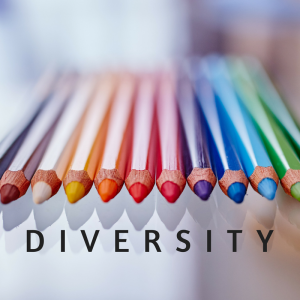 With cosmetic diversity, you can have one or two people of color on your staff or faculty and then you can show them off as examples of diversity. However, that isn’t what diversity is. Diversity is the recognition of all differences. Whether you’re old or young, black or white, Christian or Muslim, or any other identity, it’s important for it to be recognized. Not only that, it’s important that your identity isn’t used or abused in any way, shape, or form. Colleges and universities tout their statistics of diverse faculty and staff, but when you take it off paper and look at classrooms, where are they? Are they all clustered in the African-American Studies department? How about in the Gender, Sexuality, and Women’s Studies department? In terms of staff of color, where are they? Are they near the bottom of the food chain, being the custodians and dishwashers? Are they on the front lines, such as admissions and advising, or more towards the back in the records and registration section? When it comes to organizational culture of colleges and universities today, are we running them like modern plantations? Are the people of color are doing the hard labor and the white people are at the top making the big decisions? There are so many questions and critiques for higher education when it comes to “walking the walk” of diversity. There must be accountability in all facets. 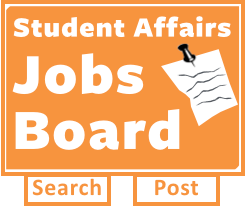 In the hiring committees, in the admissions offices, in the board meetings, and more. Cosmetic diversity cannot continue. We have the necessary tools to help them and no longer allow this faux diversity to continue. We can make a change.